THE FILIPINO MIND: PD 1081 - Another Marcos "Anniversary"
PD 1081 - Another Marcos "Anniversary"
I just remembered that a week or so ago was another "anniversary" for Marcos' Proclamation of Martial Law, which was welcomed and supported then by the urban Filipino middle class, the Catholic Church hierarchy including Cardinal Sin (with few exceptions from about 5 bishops) and mainline Protestant churches, American and Filipino business people, etc. They all supported Presidential Decree 1081 of September 21, 1972 for several converging and also differing reasons. The urban middle class and businessmen were tired of the street protests and wanted law and order, the American Chamber of Commerce wanted uncontrolled profit/dollar repatriation, the majority of the Catholic bishops were afraid of communist/atheistic ideology and influence and wanted the Government to just respect church domain, the Protestants similarly so and do not care about social concerns; and the Johnson, then Nixon government as usual wants an "American Boy" (Marcos) in the Philippines who sends troops to fight in the Vietnam War (seen not seen as essentially a civil war, but as a fight against the spread of global communism and preventing the shallow "domino theory" from being realized). All these people and their classes do not care about the sacadas in the sugar cane fields, the peasants in rice fields of Central Luzon and the lowly urban laborers and workers. With once all were respectable PMA graduates, some became officers unbecoming of gentlemen (to put it mildly), having been infected by blind obedience and brainwashed by American anti-communist doctrines (as diametric opposites of communists, both sides seeing and thinking only "either-or," no grey areas where most aspects of life are). The military was so conditioned that even those few who live by being a true Christian, i.e. practice and follow the social teachings of the Catholic Church's Vatican II Council were identified by them as "fellow travelers" or "subversives" and/or "communists". Today, after the martial law experience, the previously and relatively honorable but consistently pro-US and unpoliticized military has become a threat to any civilian government in the homeland. The hope that its current and future leadership would revert back to its professional status and respect for its place in a democracy seem remote, if not impossible. The present generation of rank and file soldiers, who grew up under the Marcos regime, may have lost the notion of what true democracy is all about, given that those of a generation or so who appreciate and respect the democratic system of government and society are too old or passed away. Unfortunately, the same thinking still continues throughout all the post- Marcos administrations of Cory Aquino, Fidel Ramos, Joseph Estrada; and now with Gloria Arroyo toeing the same plus the newly invented American policy based on so-called ¨war on terrorism.¨ Under this new George Bush II foreign policy mantle, any talk, action or protest that is anti-government, anti-business, anti-American foreign policy is labeled as "terrorism." Any movement that fights for nationalism and anti-neocolonialism or regional autonomy is terroristic. Any fighter without an air force is terroristic, to them there is no such thing as ¨state-terrorism¨ (by the Philippine or US government). Within 5 years of the proclamation, these same urban class of people who lent support realized they were taken for a ride, but they were unarmed and afraid. The atmosphere of fear and despair froze them into inaction. Slowly, the very few Catholic priests, nuns and lay workers on the basic Christian Communities who consistently and lawfully fought the martial law regime gained credibility. During this period, Primitivo Mijares, the former Executive Secretary of Marcos, had published his book on "Conjugal Dictatorship" lent credence to allegations ( he refused a Marcos bribe to shut up, appeared at a US congressional Committee and later "disappeared/salvaged" (murdered) together with his 15-year old son). The Reagan administration with William Casey of the CIA continued to support Marcos till his fleeing moments. Reagan provided FM & cohorts a free ride and haven in the USA, as the American government does each time its dictatorial running dogs are chased out of their own homelands. One wonders that for the very first time, our homeland known as a "showcase for democracy in Asia" gave birth to its very first modern dictatorship. Significantly too, this first time brought the country to its slide to the bottom of the economic totem pole in Asia. Down the river was the hope and pride of reminiscent of the 1950's and early 1960's as being next to Japan (though a far second) in Asian economic development -especially helped by the implementation of President Garcia's exchange control that encouraged the "Filipino First" attitude and Filipino ownership of businesses and industrialization. 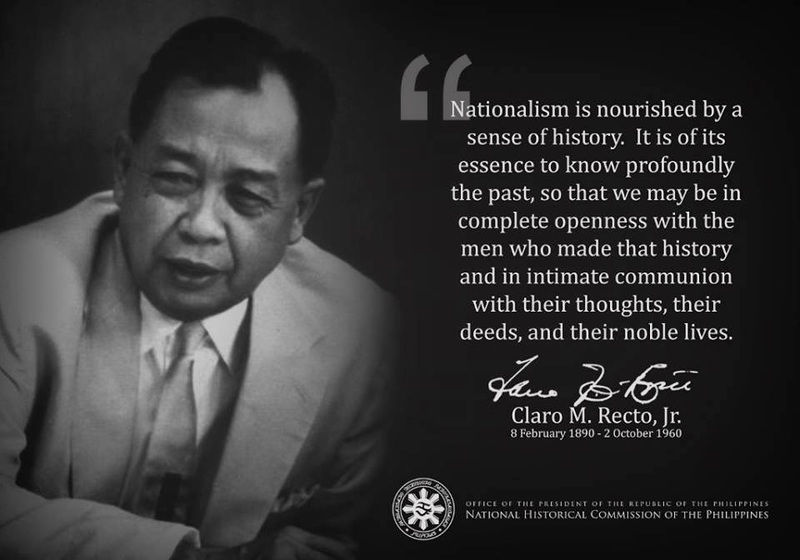 (This help was removed by the US-supported election of Diosdado Macapagal, GMA´s dad, who promised the Americans that he will scrap the Filipino First policy, beginning with the removal of foreign-exchange controls). The Marcos regime started to impoverish the Filipino people, to mortgage the future of the young and the unborn, by borrowing from the IMF-WB ostensibly for government projects (many fake ones) and demanding kickbacks, imposing his uncapitalized partnership in successful business enterprises, establishing financial institutions and government agencies for personal gain to enrich himself, his family, relatives, cronies or "bros" of former classmates, associates, friends, etc. The new and first one too was the magnitude of the thievery. One wonders also why the IMF-WB continued to provide loans to the Marcos dictatorship when they know that the bulk of the borrowing is being stolen and sent to the banks in Grand Cayman Island and Switzerland (the US has the major control of the IMF-WB). Actually some knew. The CIA and those supposedly best and brightest Filipino technocrats who thought with American-trained minds saw and applied an economic model only appropriate for developed countries. Those technocrats knew and they did not care about the common tao. They and their juniors are still out there today in business and academia propagating and practicing this absolute "free enterprise/free trade/WTO" model so destructive to and practically killed native-owned industries that were geared to produce for national self-sufficiency and import-substitution (less dependence on imported products). like illusions because we believe that heaven will be ours in the afterlife by suffering now and thus not struggling to know, understand and fight for our human dignity and the future of our children, grandchildren, etc. What Rizal witnessed then about our people still exists. If my memory serves me right, Renato Constantino wrote during the 1960's that the task of the Filipino is to make Rizal obsolete, i.e. make Rizal's reality and conditions not a reality now. But who cares? If we are all right, maybe we are because we are blessed. The rest, tough luck. That´s Christianity for us Filipinos. Notes: Bold, colored and/or underlined words are HTML links. Click on them to see the linked posting/article. Forwarding the postings to relatives and friends,especially in the homeland, is greatly appreciated). Use all social media tools: email, blog, Google+, Tumblr,Twitter,Facebook, etc. THANKS!! The below link will show a short list of my past posts (out of 540 posts so far) which I consider as basic topics about us native (indio)/ Malay Filipinos. This link/listing, which may later expand, will always be presented at the bottom of each future post. Just point-and-click at each listed item to open and read. Thank you for reading and sharing with others, especially those in our homeland.